Nationally acclaimed evangelist John Luther is the last obstacle in the way of sweeping religious reform in the States. When a U.S. Senator and Luther's own supporters abduct and frame him in the murder of an innocent teenage girl, an unprecedented era of persecution is unleashed. Out on personal recognizance, Luther escapes police surveillance in search of the truth. And suddenly, a once-normal life is targeted by a team of ex-military operatives who wage a relentless campaign to eliminate the incriminating evidence. 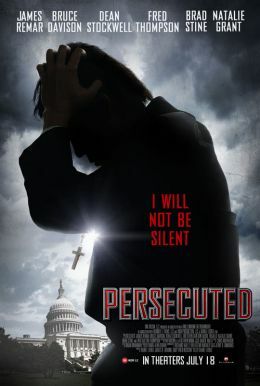 As evangelist turned fugitive, Luther vows to expose anyone involved with or profiting from the girl's murder; a mission that brings him face-to-face with the coming storm of persecution that will threaten the entire Christian community in America.